Alfred Hitchcock found the actual business of filming tiresome. He thought of it as mere assembly work. That was because he’d done all the interesting pieces of film-making beforehand. Shots, angles, lighting and so on were all worked out in advance on a storyboard. Filming was just the plodding recreation of the already imagined scenes. You may not be making a Hollywood thriller, but even a simple video, particularly one with a narrative, will benefit from some preparation. Its faster (and therefore in commercial filming, cheaper) to rub out or erase a sketch because you don’t like the angle of the shot once you see it on paper than it is to reposition the camera on a set. 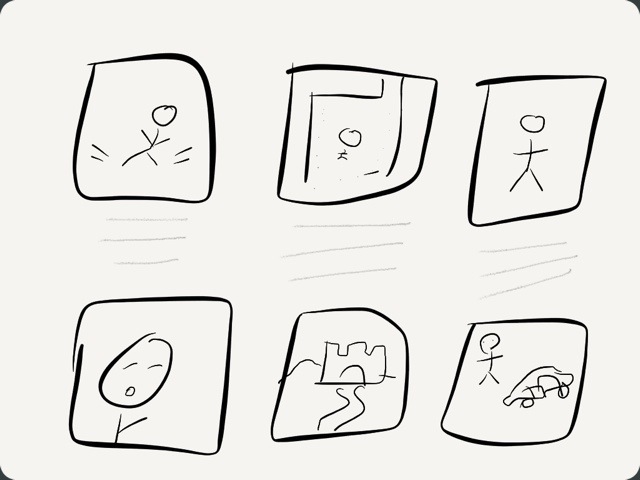 If, like me, you’ve never progressed beyond stick figures you might find a storyboarding programme can help. And, as it so happens, here’s a free one now. It even comes with twelve little video tutorials to show you how to use it. Now don’t say I never give you anything. Come to think of it, by the time a full storyboard is done, you could almost just film that and put it up instead of going to the trouble of shooting the thing. If only Alfred Hitchcock had thought of that.